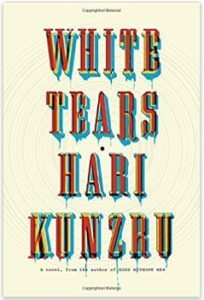 Writer & journalist, Hari Kunzru is our guest this week, talking about his new novel, WHITE TEARS (Alfred A. Knopf, March 14, 2017). 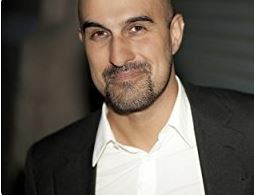 Hari Kunzru is a British Indian novelist and journalist, author of the novels The Impressionist (2002), Transmission (2004), My Revolutions (2007) and Gods Without Men (2011), as well as a short story collection, Noise (2006). His latest novel is WHITE TEARS (Alfred A. Knopf, March 14, 2017). Hari’s work has been translated into twenty-one languages, and his short stories and journalism have appeared in publications, including The New York Times, The Guardian, and The New Yorker, Financial Times, Times of India, Wired and New Statesman. He is the recipient of fellowships from the Guggenheim Foundation, The New York Public Library, and the American Academy in Berlin. He is Deputy President of English PEN. Hari was educated at the University of Oxford, University of Warwick, Wadham College, Oxford. 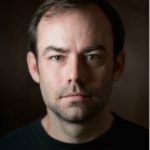 His wife is the novelist Katie Kitamura. They live in Brooklyn, New York with their children. You can keep up with Hari Kunzru on Twitter at @HariKunzru.